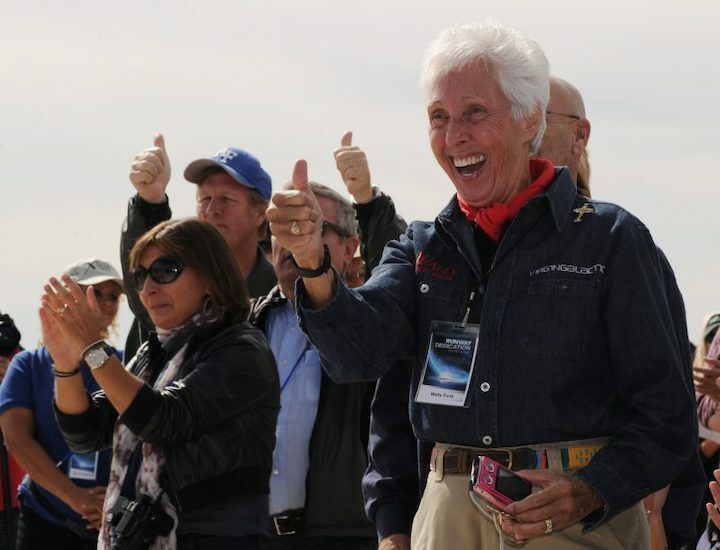 Raumfahrt+Astronomie-Blog von CENAP - Blog: Raumfahrt - Honoring the Mercury 13: Astronaut Women in the Shadow of NASA’s Men Astronaut trainee Mary “Wally” Funk opens up to RCL on historic role. 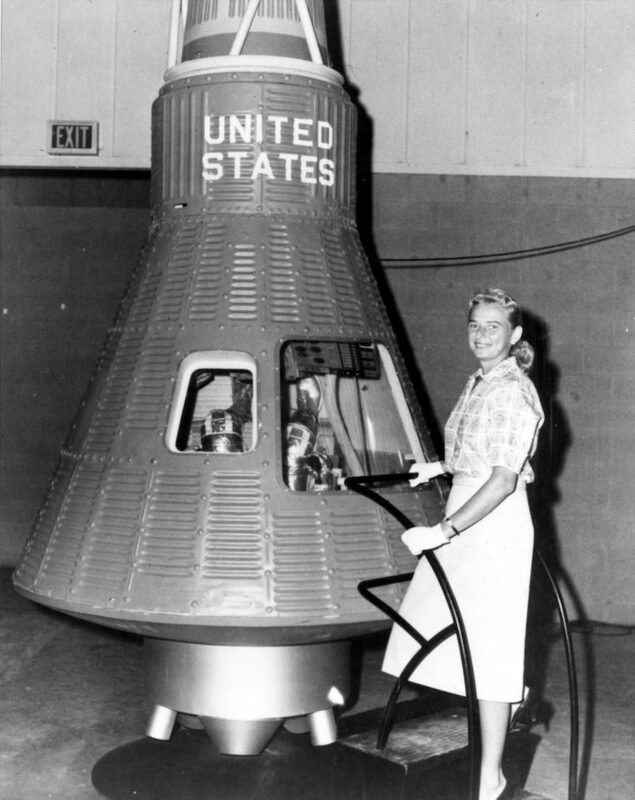 Sixty years ago, the glass ceiling prevented a batch of women astronauts from leaving Earth, but the Mercury 13 still proved pioneers in the space program. 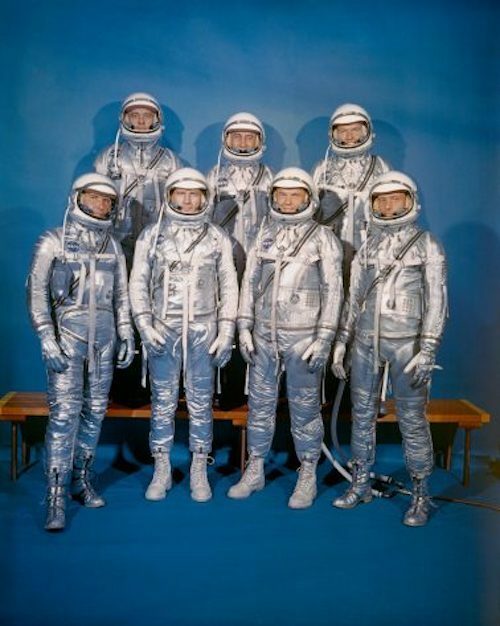 With the landmark anniversary of NASA’s Mercury Seven announcement in 1959 on April 9, there will be much deserved celebration surrounding the accomplishments of the seven male astronauts who blasted off into the history books. But also worth celebrating is the less-remembered legacy of the Mercury 13. It wouldn’t be shocking if you hadn’t heard of the Mercury 13; they weren’t part of an official NASA program and none of the participants made it to space. So what made them so special? 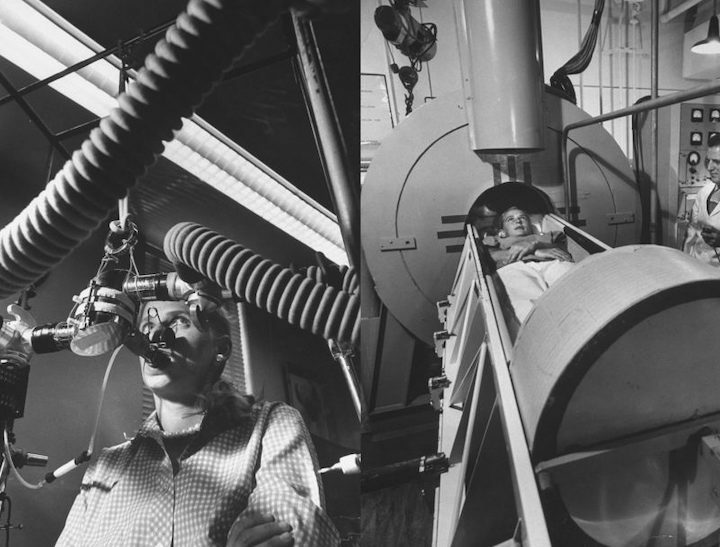 The Mercury 13 were all women and they all underwent the same physiological testing as the astronauts that comprised NASA’s Seven. One trainee- Wally Funk – even outperformed John Glenn in certain testing areas. 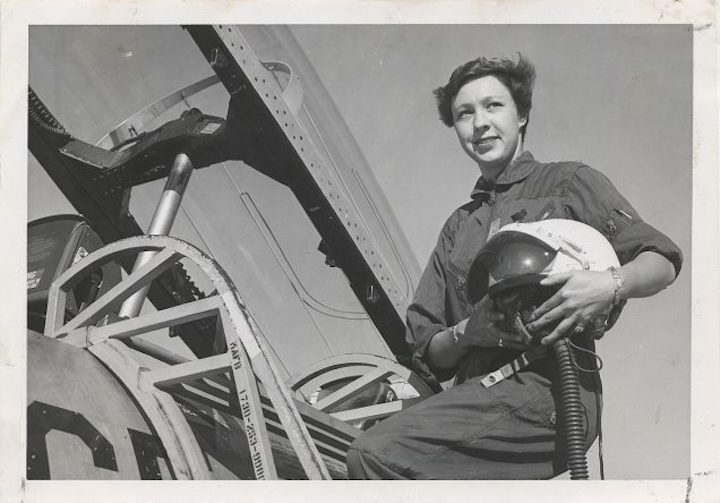 The group was comprised of 13 women astronaut trainees: Jean Hixson, Rhea Woltman, Gene Nora Stumbough, Irene Leverton, Jerri Sloan, Bernice Steadman, Jane “Janey” Briggs, Sarah Gorelick, Jerrie Cobb, Janet Dietrich, Marion Dietrich, and Mary Wallace “Wally” Funk. 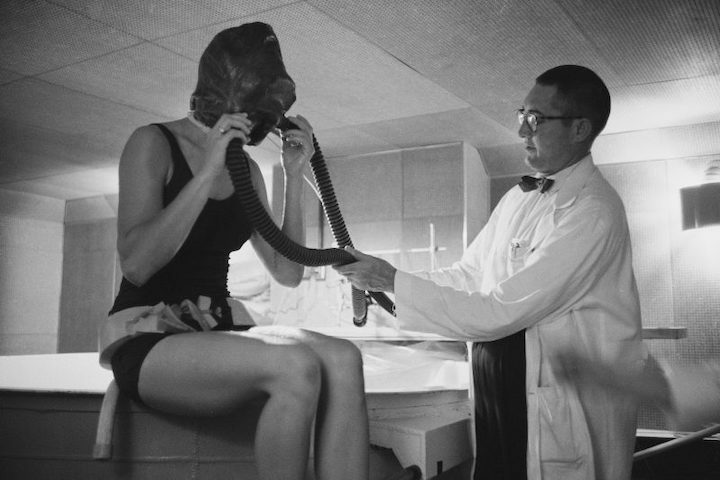 The women were dubbed FLATs- Fellow Lady Astronaut Trainees – and underwent testing including having ice water shot into their ear to induce vertigo-like symptoms and being pushed to the brink of collapse to test their respiration. A few select trainees were sent for further testing that included an isolation tank test and psychological evaluations. 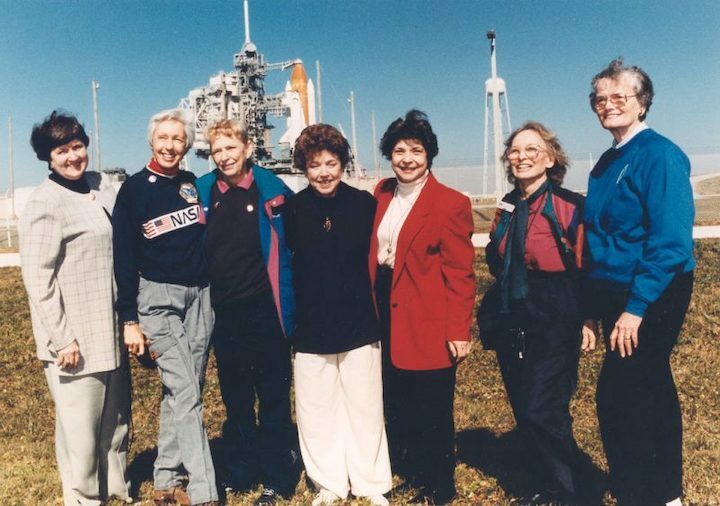 The women were assembled by William Randolph Lovelace II, a former flight surgeon and went on to be the chairman of NASA’s Special Advisory Committee on Life Science as well as the Director of Space Medicine. Many of the women were recruited through the Ninety-Nines, a women’s pilot organization. Over 700 female pilots who had logged more than 1,000 hours in the sky applied. The program, however, was abruptly cancelled. The termination lead to two of the trainees, Jerrie Cobb and Janey Hart, testifying before a special Subcommittee of the House Committee on Science and Astronautics as part of an investigation as to charges that NASA discriminated against women. That’s when astronaut John Glenn famously said it would go “against the social order” to put women into space. The investigation did not lead to substantial change, and the women were left grounded. By the end of the program, no trainee officially completed Phase III training, and all the women went on to pursue other career paths, many within the the aerospace industry. Jane “Janey” Briggs Hart followed a more political path (her husband was a US Senator) and founded the feminist group, the National Organization for Women. Funk went on to become the first female air safety investigator for the National Transportation Safety Board. But even after all these years, she hasn’t given up on her astronaut dreams, hoping to be on Richard Branson’s Virgin Galactic spacecraft. RealClearLife: Where did Wally Funk come from? I was born and raised in Taos, New Mexico at 7,000 feet, skied at 12,000 feet and that spirit of that Taos mountain… look to the Taos mountain, that mountain is going to tell your body what to do. I have done that every day since. [I] always had a good attitude for life and had very forward-thinking parents. They were fabulous to me. I learned early ‘you have no fears,’ so I’ve never had a fear in my life. You have to understand, you don’t fail. I never was a failure, I never failed anything in my life. RCL: You’ve taught thousands of students how to fly. Can you describe how you felt the time you took your very first solo flight? What does it mean to experience something like that? It was freedom! I felt very satisfied, I felt very happy, it was one of the neatest things that ever happened. But looking back on it now- I’ve done everything just as well…[it was] outstanding workmanship of my brain. I soloed in five hours and I asked my instructor ‘when are you going to get out?’ and he said, ‘now!’ I’ve taught over 3,000 people to fly and get their private license or better. RCL: What was it like to go through the Mercury 13 training? I was on my own, I took everything with great stride. I performed flawlessly, according to the doctors, I beat everybody as far as the Mercury 7, and the Mercury 13, and then when I went to Russia, the cosmonauts. Because I had a mind that I could do everything – not necessarily a mind of thought process – but I knew my body could do it. It was a normal feeling that I was an outstanding candidate. RCL: One report said you stayed in the sensory deprivation tank for an astounding 10 hours and 35 minutes. What was going through your head? Well, you kind of turn your brain off. I knew I was going to be in there a long time and I was so happy with where I was in my life at that point that, I wasn’t stuck on one particular thought process, I just kind of flowed. Remember now, the temperature of the water, my temperature, the atmosphere, everything, was my temperature at 97 degrees. So I had no feeling of the water; I was like I was in space. I was floating in space and so I didn’t have anything to bother me. I felt like I probably just laid there and just kind of, ya know what? I don’t remember thinking about anything. I was just happy to be there. RCL: As a woman, how did it feel being denied the opportunity to go to space? I scored higher than [John] Glenn. It was no big deal to me. I was a girl doing my own thing. To be denied- I put in four applications into NASA. They said “Wally we want you so bad because of what you’ve done but you don’t have an engineering degree.” I said he [John Glenn] didn’t have an engineering degree either, “but he flew jets” so what! I’ve flown big airplanes. Anyway, that was it. I was living in Dayton, Ohio at that time so, I went to a college, I was going to get my engineering degree and when I went to the head engineer guy to register he said, “you’re a girl, go to Home Ec.” That was the first time anybody had ever said anything derogatory to me. I didn’t make it because I didn’t have an engineering degree. That’s why I’m teaching STEM. RCL: You were the first to accomplish a lot of things, what do you believe is your greatest accomplishment? RCL: What message would you like to give to young people, especially young girls, who are interested in STEM or becoming astronauts? I’m teaching elementary kids STEM and how important it is to make yourself outstanding. Don’t go around with these people who are not nice, don’t dress well, cuss, smoke. You have to make something of yourself. The message here is the kids have to have some help from either parents, mostly parents if the parents are sharp, to get them into space and science to prepare them to get their engineering degree in high school and college, because that’s where everything is today in the world of space: science. Play with toys; get them toys as kids! I did things with my hands with the Erector set. They need to be helped by people- parents, the church, whomever, to let them know that they can be anybody they want to be. I can’t tell you enough how I want these kids to read and get off those computer things and do things for themselves and go out and build a tree house. To learn more about Wally and her journey as one of the greatest female aviation pioneers, check out her biography by Sue Nelson.